One of the most amazing aspects of Canada is that it is a country with so many different elements – there are forests, there are beaches, there are rainforests, there are big cities, there are mountains, and there are even glaciers! 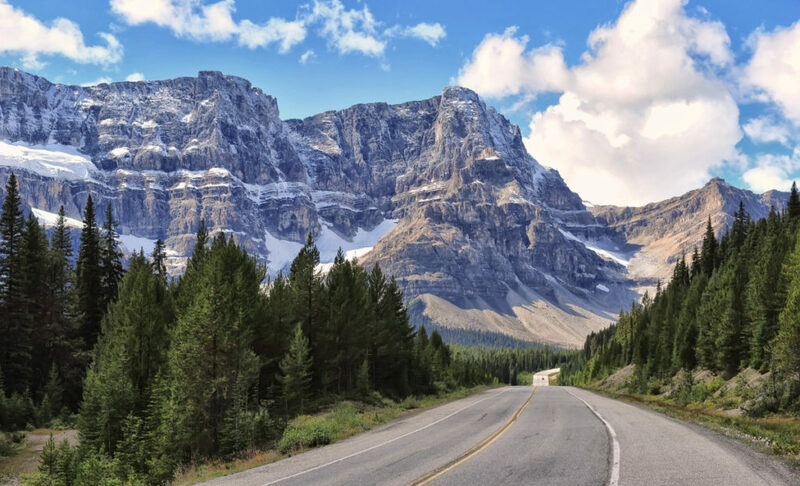 The Icefields Parkway road tripping route is the best way to see the slightly colder side to Canada, so remember to pack your wooly hat and scarf. The Icefields Parkway route will take you around three days to drive the 232 km route, but if you want to really take it in, it’ll take a little longer. Why not stretch it out to a week? Because you just have to stop off at various points through the Rocky Mountains, the Banff National Park and the Jasper National Park to check out the snow capped landscape, get a glimpse at the Glaciers and camp overnight to stargaze at one of the best stargazing viewpoints in the world. The Vancouver to Tofino road trip starts off a little differently to the rest, as you’ll need to board a ferry before you can go anywhere! 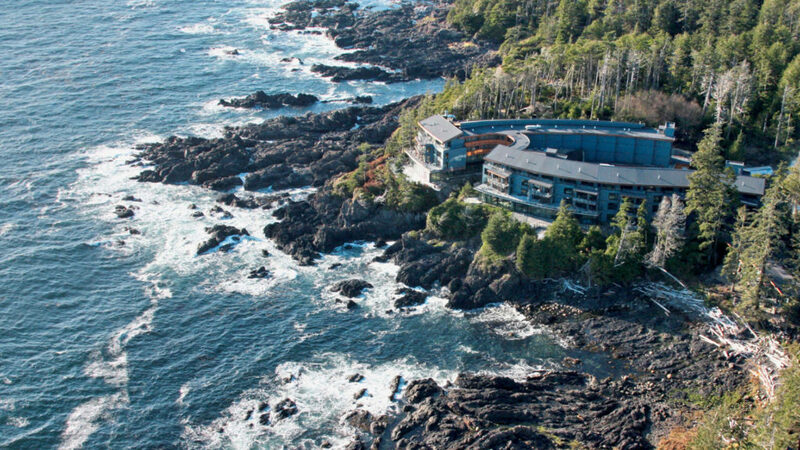 Once you’ve made your way over to Vancouver Island, it’s super easy to travel the 207 km road from Nanaimo to Tofino. The route will take you past the MacMillan Provincial Park (which you definitely need to visit, their fir trees are legendary), and you’ll follow the Pacific Rim Highway. Once you get to Tofino, it would only be polite to stop off at Long Beach and ride their famous waves. Road trip and surfing? We’re spoiling you. 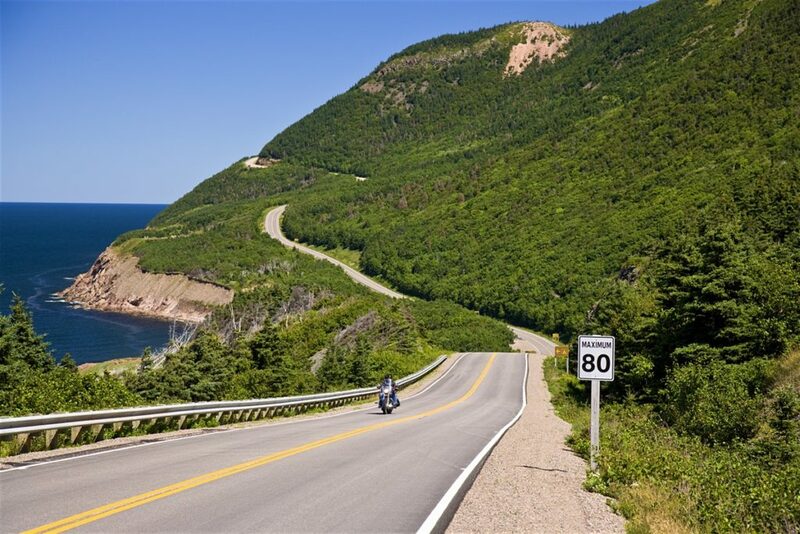 Nova Scotia is known for its breathtaking scenery, and The Cabot Trail shows off some its best assets – especially along the coast! This trail takes you 298 km around the top of the Cape Breton Island in Nova Scotia, which gives you immense views over the Atlantic Ocean as you wind your way along the coastal roads (and keep your eyes peeled for whales and dolphins). If you’re planning on driving The Cabot Trail, the best time to do this is in the fall, as your trip through the Cape Breton Highlands National Park will be filled with trees in brilliant hues of oranges, red, browns, and greens. Just make sure you keep an eye out for moose! Those guys just love to roam at the side of these roads. The Montreal to the Gaspe Peninsula road trip route is the perfect route for nature and history lovers. The trip will take you around seven days to complete but will give you ample time to check out the heritage sites, old villages, and old monuments (the Citadelle of Quebec is a must-see) in Montreal before heading further towards Gaspe. 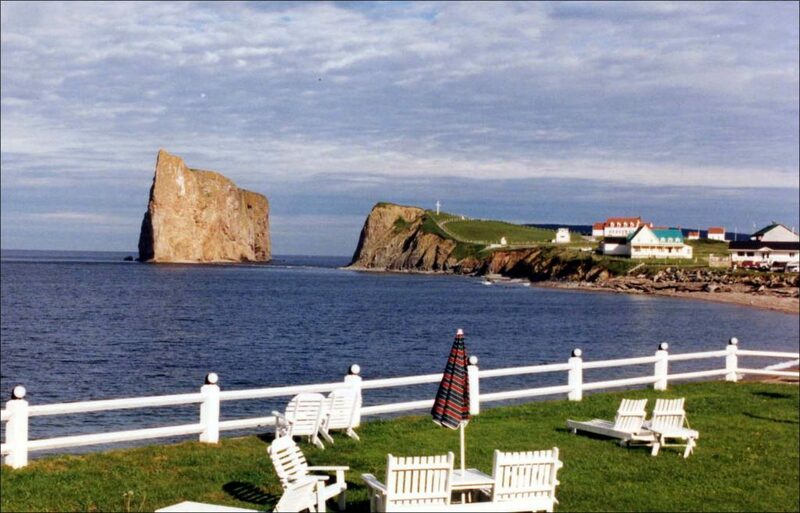 Gaspe is a firm favorite of Canadian locals, who flock to this area overlooking the Gulf of St. Lawrence to go out on fishing trips, whale watching boats or just set up camp in Bonaventure Island to witness the incredible gannets and 300 other species of birds. 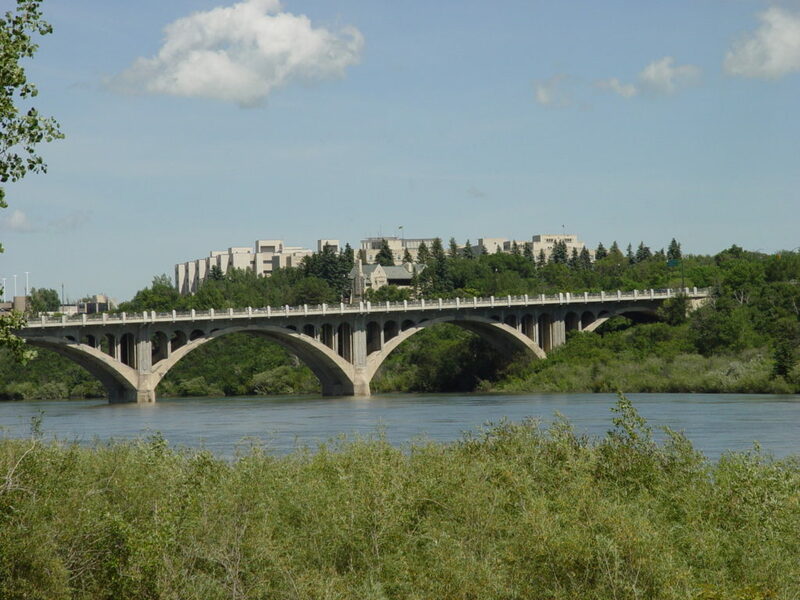 If you’re looking to put your foot down and drive the open road (you know, without exceeding the speed limit) the Regina to Saskatoon road tripping route is one of the flattest routes in the country and will take you through the Western parts of Canada. You start your road trip in Regina, where you can witness the Royal Canadian Mounted Police parade, then head your way towards Moose Jaw to check out where criminals bootlegged their booze in the Prohibition era, and then drive further west where you reach the open road, flanked with colorful Western-style barns and ranches. Canada is one of the most beautiful countries on the planet, with stunning landscapes that make you feel as though you’re in the pages of an epic fantasy novel. It is teeming with nature and wildlife, but is also one of the more inhospitable countries due to its freezing temperatures in the winter. Taking a roadtrip in Canada will be one it’s guaranteed you’ll never forget.